I have worked on numerous projects with Erick over the last 8 years. Erick is one of the most thorough- conscientious contractors that I know. Erick is a hard worker, has great ethics- stays within the budget and is easy to work with. He is a super nice guy. I have worked with Erick over the years through my business and found him to be honest and great to work with! In 2017 we hired him to remodel our home and he helped us turn our 40 year old house into our dream home. Thanks Erick! I've worked with Kurber Construction for several years now and have nothing but good things to say. Erick not only takes great pride in his craft, but also serving his clients and taking care of his contractors. You're in good hands with him. Reliable, conscientious, polite, Clean up after themselves, quality of work excellent. Subcontractors also do great work. I have no complaints. We needed a new window installed on our home and we used Kurber Construction. We had many quotes done but we were attracted to Kurber Construction's honesty. They made a point to inform us of all our options and did not hide any thing from what had to be done and what it would cost. 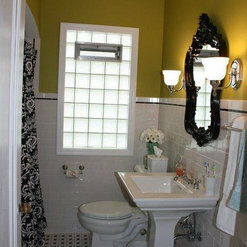 Their costs were very competitive and their attention to detail was amazing. Along with installing the new window, they custom made the trim to match the charm of our 1940s house. 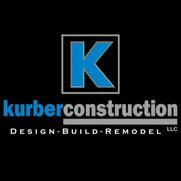 I will recommend Kurber Construction to my family and friends and will be using them in the future!!!! 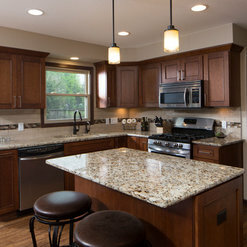 Kurber Construction is a solid, honest and knowledgeable company. Jobs are run professionally and efficiently. Subcontractors are all hand picked and work very well together with a true sense of pride. 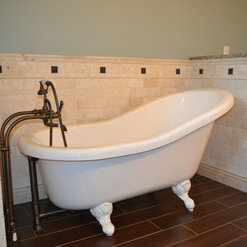 As a tile contractor, I've had the pleasure of working on several of Kurber's projects, all have gone smooth. 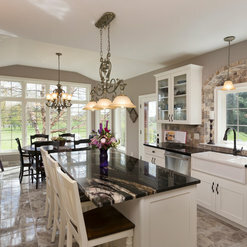 I VERY highly recommend Kurber Construction to anyone thinking of renovating their existing home or building new! Erick is an honest upfront contractor. 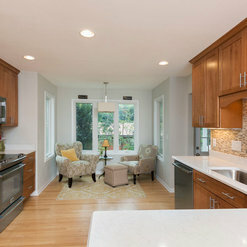 I have been working with Kurber construction for almost five years now. He is always on top of his jobs and scheduling work with his sub contractors is very well thought out. I always know what he expects and enjoy our interactions on the job site. Erick surrounds himself with good people and are a cut above the rest. 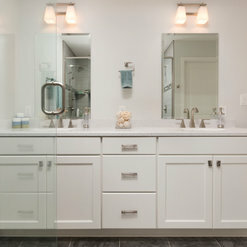 You can not go wrong choosing to work with Kurber Construction. My husband and I hired Erick to remodel our newly purchased fifteen year old home which was in dire need of a major update. The job commenced in October and was finished on December 16th. Our main goal was to change the look of the home to Old World decor something Erick understood and had an interest in doing. Every room was touched and the end result is beautiful. Erick manages his own crew along with many excellent subcontractors. Everyone we worked with - bar none - was professional, knowledgeable, and highly skilled. 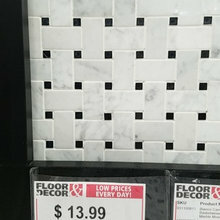 As far as cost goes, I can honestly tell you that we did spend quite a bit on our whole house remodel. That said, my taste runs to the expensive side so most of the higher costs were because of me. Truly, you will not be disappointed in Erick’s pricing. He is aboveboard every step of the way. Nothing is hidden. He is meticulous, sharp, creative, attentive, resourceful, and honest. He wants his customers to love the finished product. He must have stated that to me a hundred times and I loved that he cared that much. Do not hesitate to bring Erick in on big jobs like ours. He can handle anything you throw at him, big or small, ornate or simple. 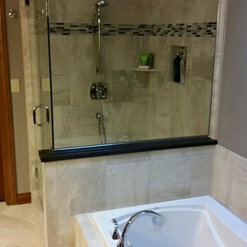 I have already asked Erick to come back early next year to remodel the Master Bathroom (still working on the design). We also want a screened-in porch and a finished basement so we are approaching our remodel in Phases. Phase I is complete. We are extremely happy with the house and look forward to working with him again. 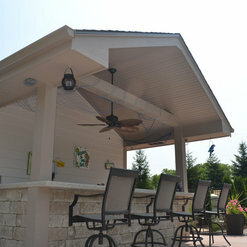 We hired Kurber Construction to build a backyard storage shed. Erick and his team were true to their word. They showed up when they said they would and built a quality structure within the timeframe quoted. Erick is a master craftsman with a keen attention to detail. 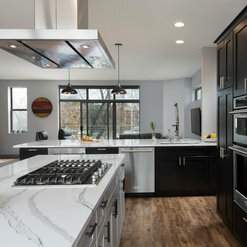 We couldn't be more pleased with how the project turned out and wouldn't hesitate to recommend Kurber Construction to friends and family. Thank you for your kind words Karen! It was a pleasure working with you! 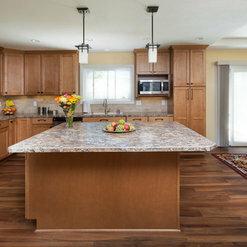 Kurber Construction is a company that provides excellent quality of work and who truly cares about the finished product. 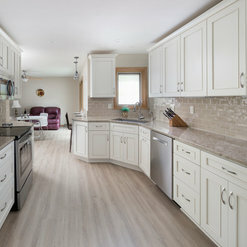 We were extremely happy with the level of professionalism, the finished project was exactly what we asked for, their knowledge of and use of proper construction methods, the on going communication throughout the project and were delighted that they cared enough about our home to clean up after themselves each and every time they worked on our project. Thank you for taking the time to review us Lori! It was a pleasure working with you!